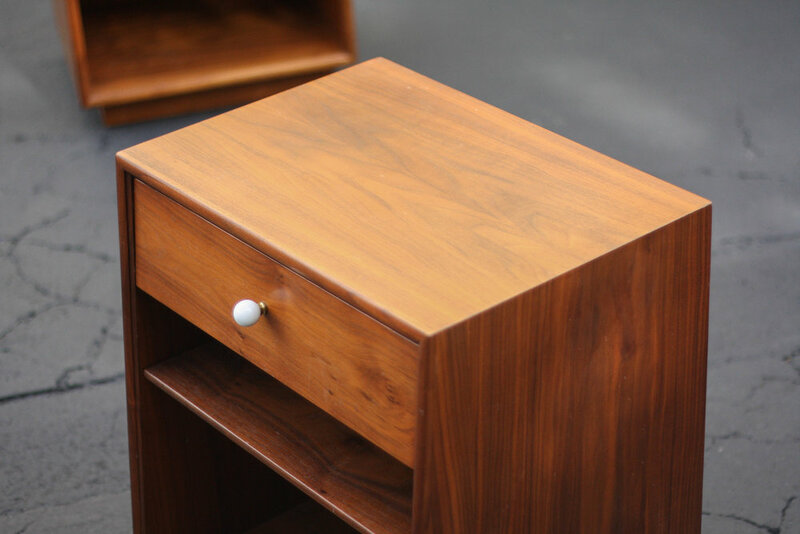 Pair of Drexel Declaration Nightstands by Kipp Stewart. Very good vintage condition with only signs of use. They do not need to be refinished to be enjoyed. Adjustable shelf and slide out drawer with porcelain pull.